Fall Plates champion Sebucan's Pablo Pulido, Pablo Dorignac, Whistle Uys and Julio Gracida with awards presenter Gwen Rizzo. 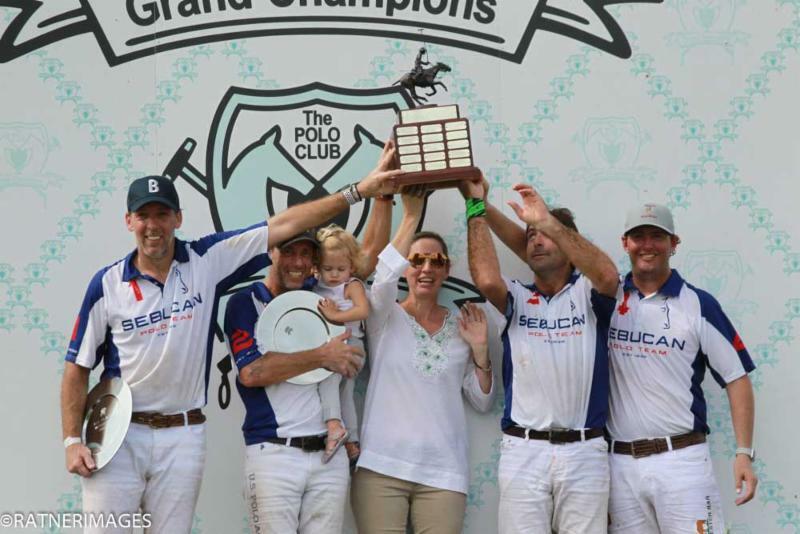 WELLINGTON, Fla., November 4, 2018----Sebucan defended its title and won its third tournament of the fall season Sunday in front of a good local crowd at windswept Grand Champions Polo Club. Fall Plates finalists Sebucan and Audi with Peter Rizzo helping his wife Gwen with awards. 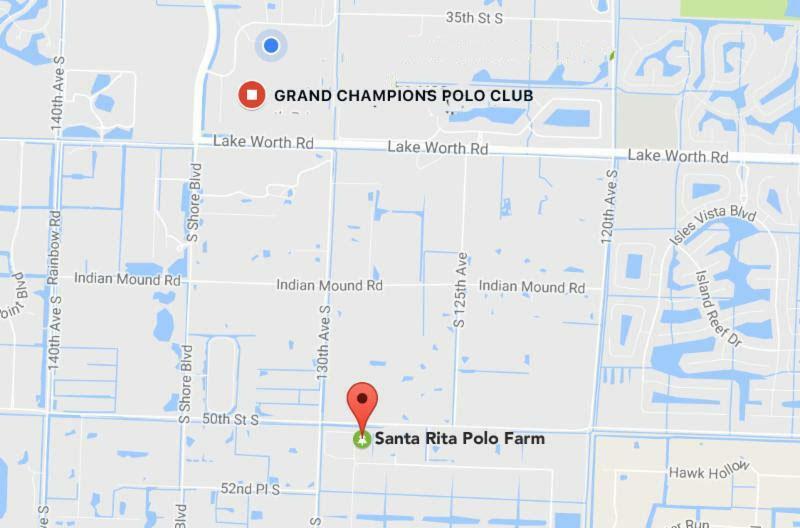 "What can I say, it's a good season," Pulido said. "The first half we were kind of messy and not all together. The second half we opened it up and played much better and you saw it in the score. We just started passing the ball and making the plays." 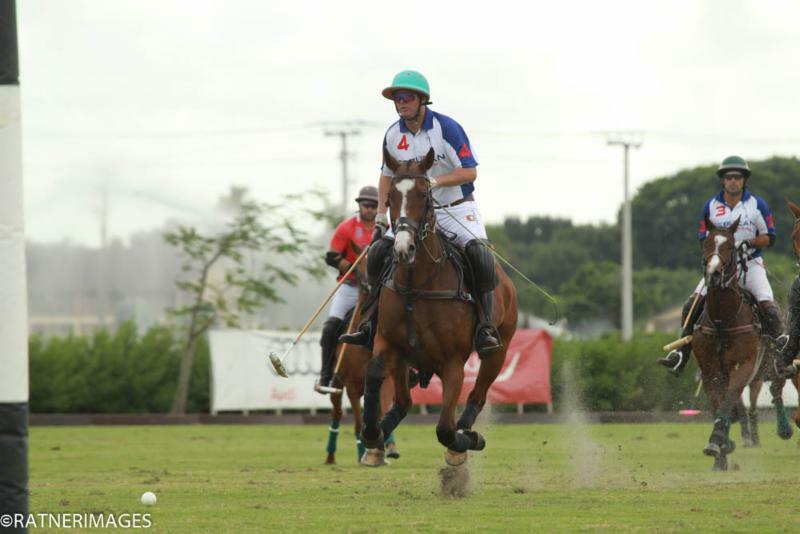 MVP Julio Gracida of Sebucan on his way to scoring one of his five goals. "I just took time off to focus on myself and regroup and I think it's showing," Gracida said. "I am happy with the way I am playing and I am happy I got MVP." 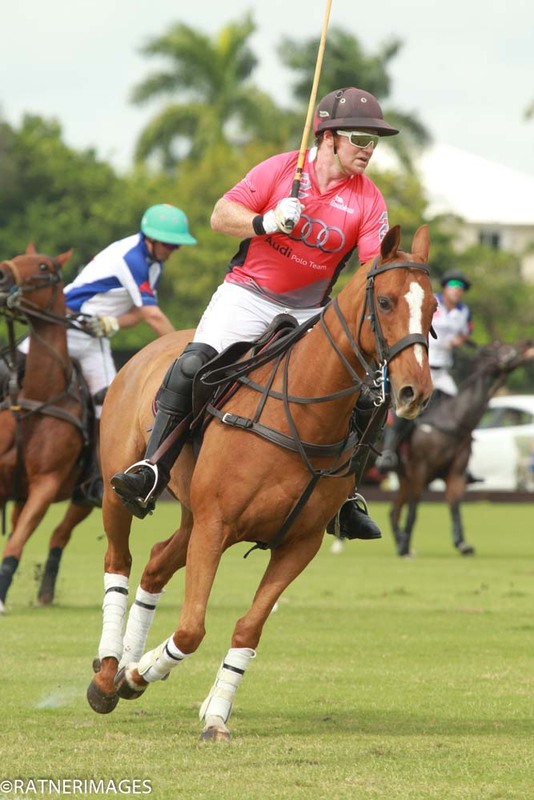 Gracida's prized 12-year-old bay mare Fantastic Roo was selected Best Playing Pony. "She's very special to me," Gracida said. "She's a mare that we bought from Argentina. She's one of the last ones I got from there. It's one that my mom broke for me. I've had her since she was 2-years-old. It's been a 10-year engagement." 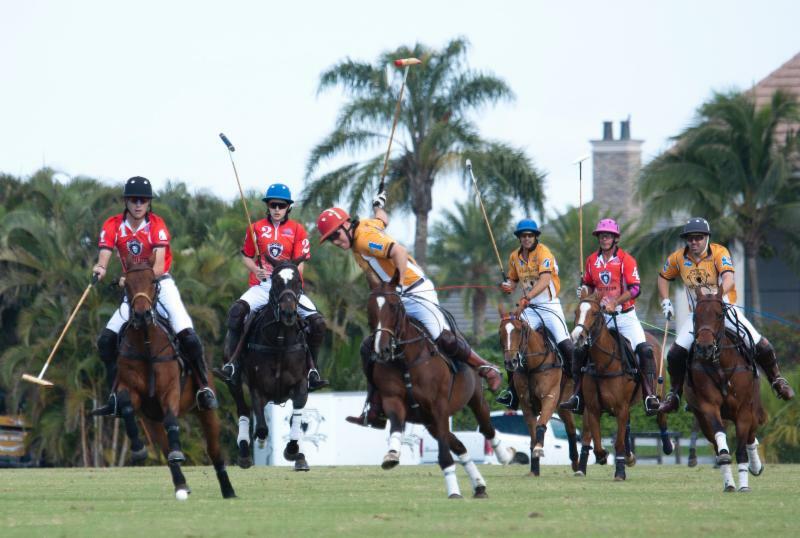 Whistle Uys of Sebucan defends Carlitos Gracida of Audi as he hits a near side shot. 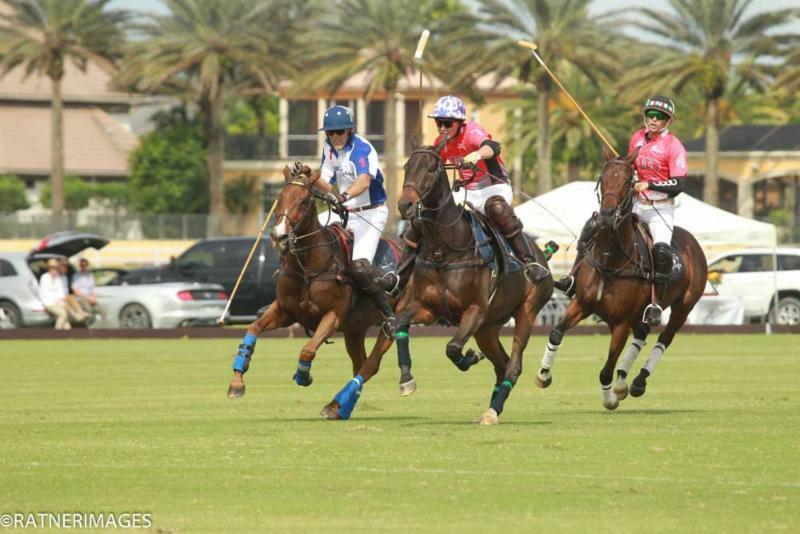 Audi's Marc Ganzi on his way downfield to intercept Sebucan's Julio Gracida's near side shot. "We started the second half with a lot of energy," Dorignac said. "We started playing well and calming down. We took our time hitting the ball and making good passes." "We tried to open it up," Gracida said. "We have a lot of confidence in Pablo Pulido, he is a heck of a one. He pushes and pushes. We tried to get the ball open to him as much as we could. He did his part and we tried to do ours. This team is a lot of fun and I hope to get to play with them again." 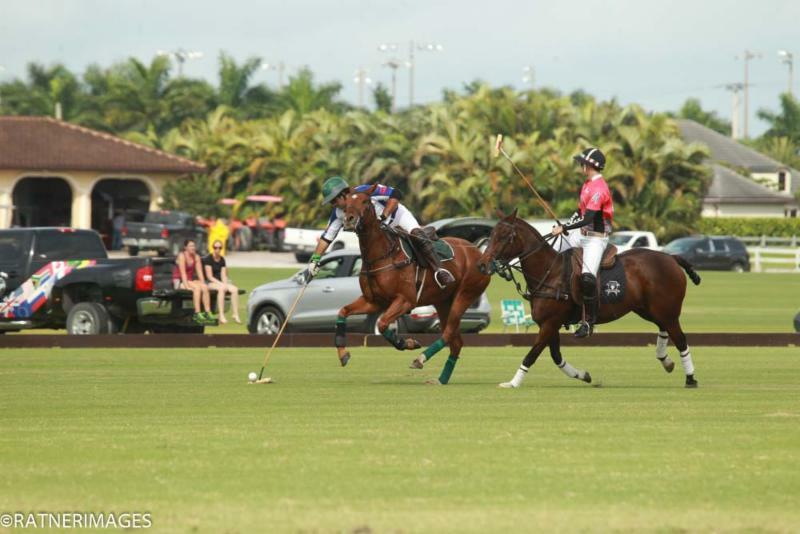 Sebucan's Pablo Pulido and Audi's Tony Calle in a horse race to the ball. Added Dorignac, "This is a good team. 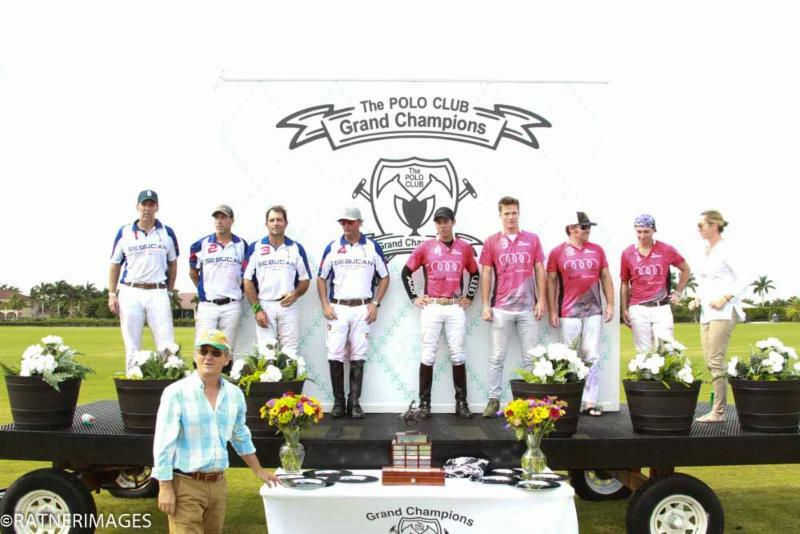 For me it was really fun and a pleasure to play with Pablo, Whistle and Julio. We are very good teammates. We have fun, we always push together the same way and are positive all the time. Nobody complains. We are always saying keep going, we will get the next one. I think the good atmosphere on the team helps you win. It was not my best game today but we won and that's what's important." "Finishing in the dark was quite scary and daunting, but it was a lot of fun," Pulido said. "It was nice to win it." 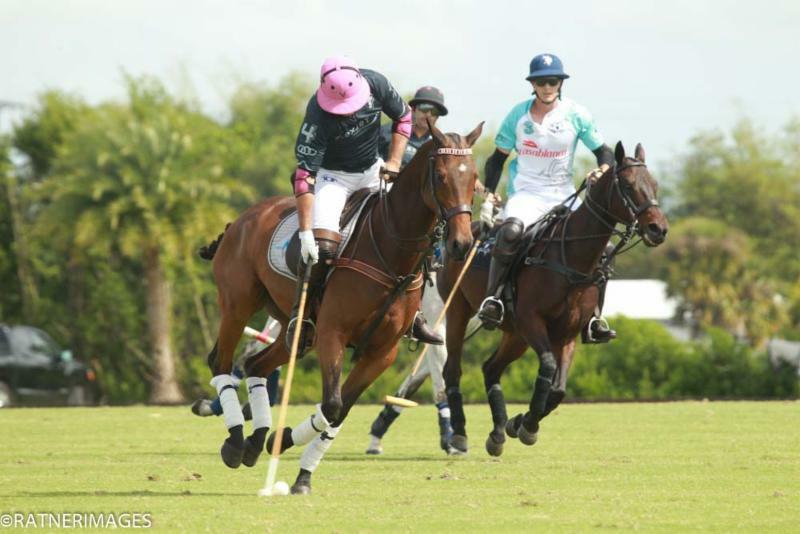 Whistle Uys of Sebucan stretches out of the saddle for the ball with Carlitos Gracida of Audi defending. 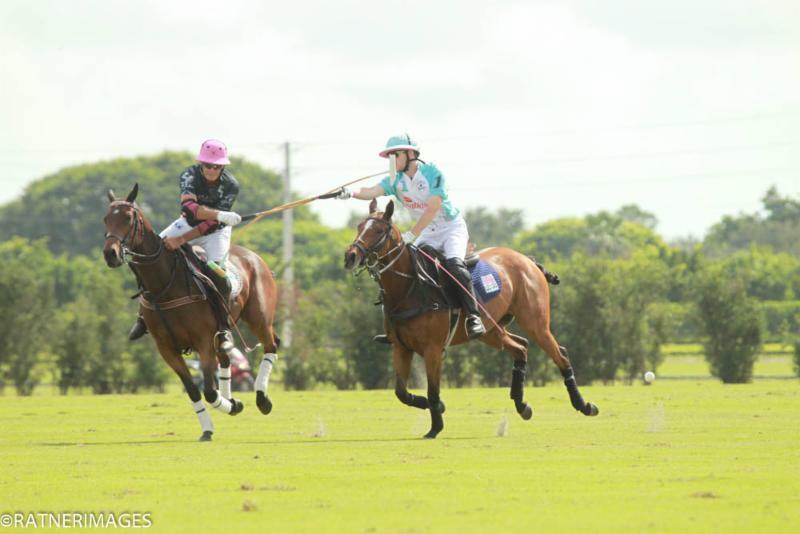 "We had a good first win on Friday," Gracida said. "It gave us good momentum and it carried over today. 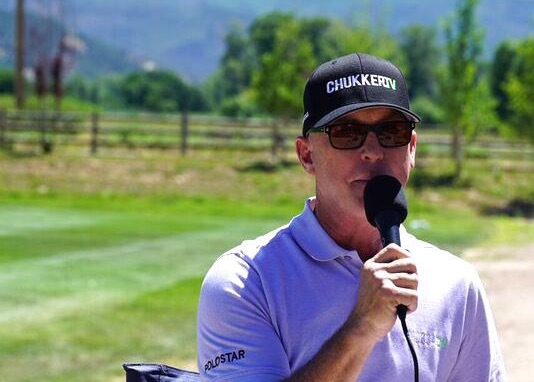 We did get lucky on Friday." 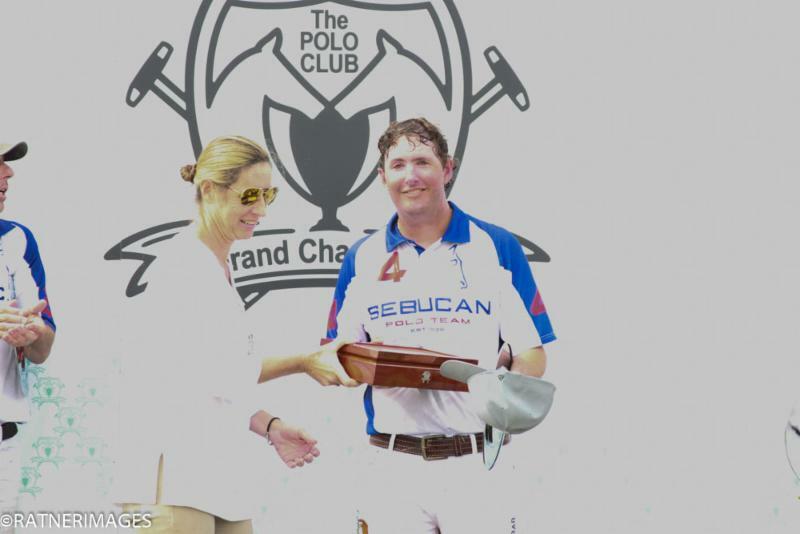 Julio Gracida of Sebucan receives his MVP award from Gwen Rizzo. Lulu Dorignac makes sure the Grand Champions awards table is perfect. 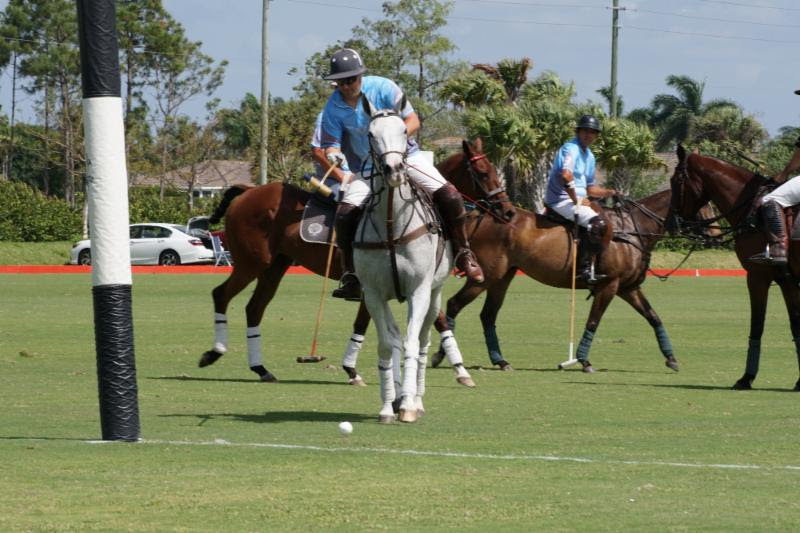 Casablanca's Grant Ganzi hits the big neck shot downfield to teammate Juancito Bollini. 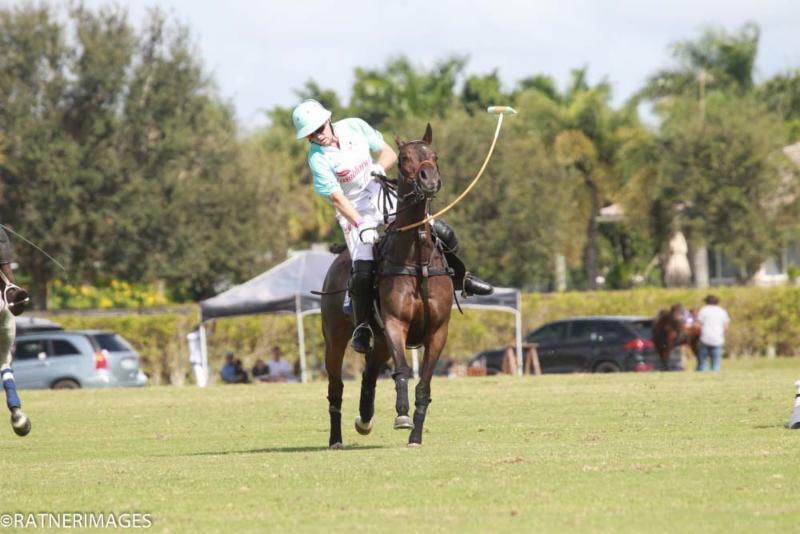 Grant Ganzi of Casablanca hooks Juan Bollini of Flexjet as he attempts to hit the ball. 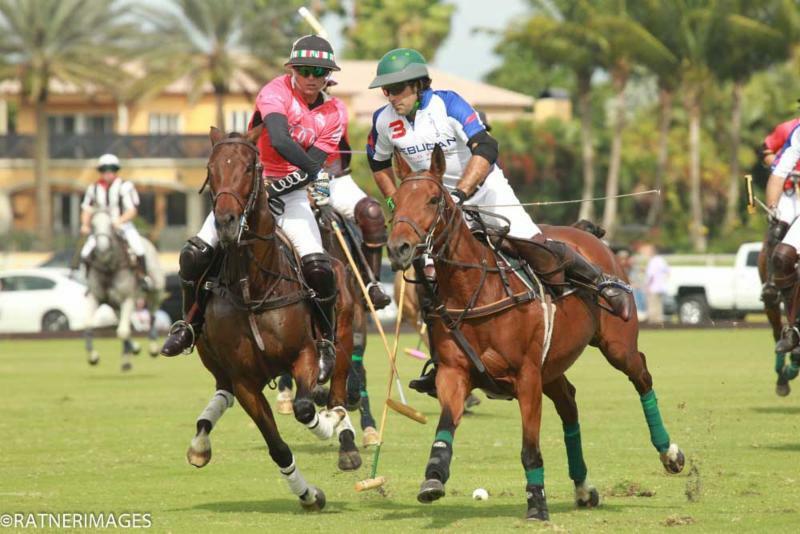 Juan Bollini of Flexjet drives downfield with his son Juancito Bollini of Casablanca defending. 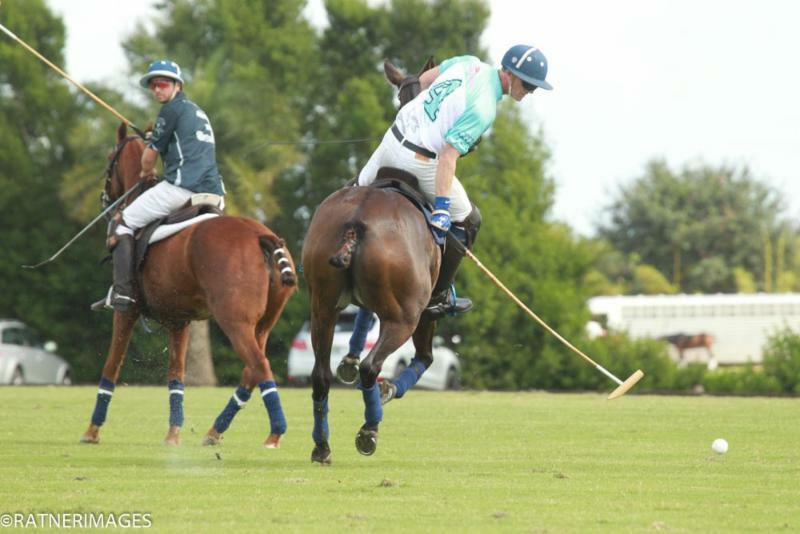 Jeff Blake of Casablanca leans back for the ball with Justin Daniels of Flexjet defending. 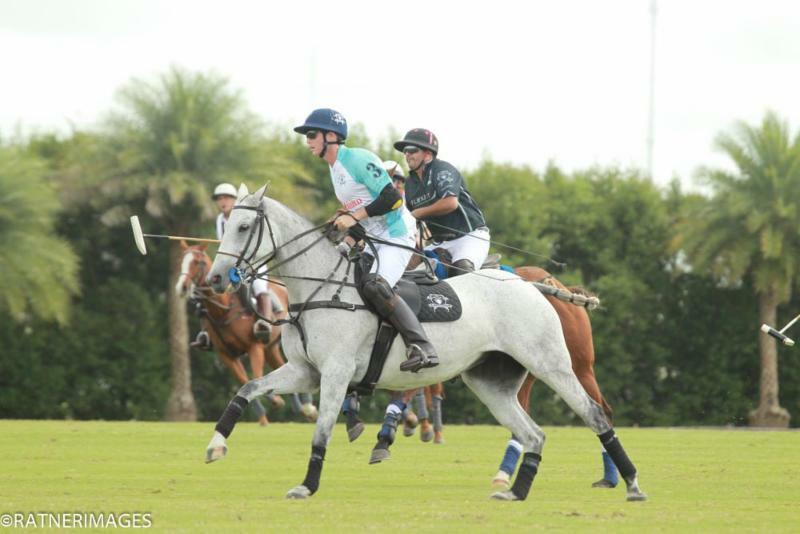 Juancito Bollini of Casablanca outraces Guille Aguero of Flexjet downfield.